Could future Ferrari's incorporate this too? The Ferrari LaFerrari, whether you like the name or not, is an extremely impressive and brilliant piece of modern engineering. One of its systems is so advanced, in fact, that it’s been banned from Formula One. Thankfully, Engineering Explained is back to, once again, explain this all in layman’s terms. 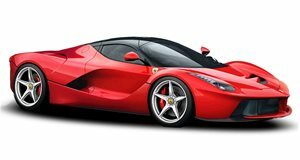 The LaFerrari’s Continuously Variable Length Intake Tracks is a technology that allows the 6.3-liter V12 to adjust the length of its intake runners, which affects the volumetric efficiency of the engine. What does that mean, in non-engineering speak? The engine has increased power and torque across its rev range. It’s absolutely brilliant technology that, at lower rpms, allows the LaFerrari’s variable-length intake runners to create turbulent airflow, which improves fuel mixing, and thus produces more combustion. The LaFerrari is packed with lots of state-of-the-art technologies, but this one in particular is worth learning more about. Be sure to watch the entire video, which is less than five minutes long. The graph at the end clearly shows how this tech affects both horsepower and torque.